You may think your hearing loss is embarrassing but it’s important to know that you’re not alone, In fact, approximately 36 million Americans suffer from hearing loss. Our ability to hear naturally degrades over time due to many factors. Most are common and unavoidable, but others are may be related to medical issues. Did you know that there are studies supporting a link between hearing loss and heart disease, chronic kidney disease, and diabetes? Those with hearing loss are also more likely to develop psychological issues such as depression and dementia. It’s not just about your hearing; it’s your life. 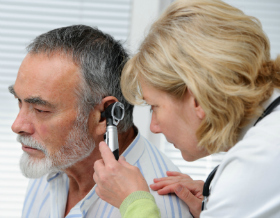 There are treatment options available that can improve both your hearing and quality of life. That’s why at At Universal Hearing Care in Tarzana, California we want to encourage you and your loved ones to stay on top of hearing wellness. 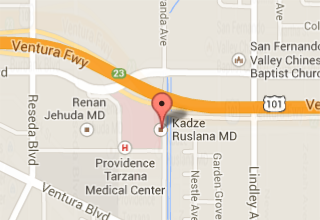 We are proactive in educating the doctors and the community about the importance of hearing care as part of your overall health and wellness..
For information about our Wellness program or to schedule an appointment, contact our Tarzana, California office today at 818.345.3200. Mark Villaver is a professional dancer. He has toured the county and performed with stars like Taylor Swift and Ariana Grande. In this video, he teams up with his mother, Emilia in a duet that has attracted nearly 300,000 views on YouTube. Performed to “She Came to Give It to You” by Usher, this mother and son dance is special for one reason: Emilia is deaf. With sharp moves and an impeccable sense of time, this talented mama reveals where Mark got his moves. Batteries are a necessary evil for hearing aid owners. 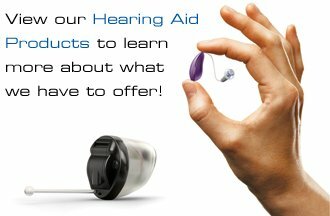 We all know they’re important when it comes to hearing aids, but why? Well, if it wasn’t for batteries, most of us wouldn’t have practical hearing devices. Most likely, we would be limited to using ear horns or need get crafty with extension cords. Luckily, batteries do exist; and we have compiled a few frequently asked questions to help you along the way. How often will I need to change my hearing aid battery? A standard hearing aid battery lasts from 3 to 22 days, depending on its size. Larger hearing aids use larger batteries, which tend to last longer. Smaller hearing aids, such as in-the-ear devices, use smaller batteries, which have a shorter lifespan. You probably associate ear infections with children, but adults are susceptible to them too. The bacteria or virus that leads to ear infections enters the ear canal or middle ear following a bout with the common cold or another type of infection. What are the symptoms of an ear infection in adults? 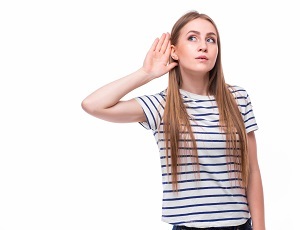 Read more: Ear Infections and Hearing Loss: Otitis What?